25 years ago, the McDonald’s Mid-South Co-Op hired Walker & Associates to satisfy its marketing and advertising needs. The Mid-South Co-Op represents West Tennessee, East Arkansas, North Mississippi, the boot hills of Missouri and parts of Kentucky. It’s been a great ride and we’re lovin’ it. It’s hard to market to a customer that you don’t know. That’s why W&A spends so much time and effort learning about McDonald’s customers here in the Mid-South. We do this through focus groups where we learn about the customer’s experience and listen to their feedback. We do this through business analysis where we learn what our customers are spending their dollars on and how it’s moving the needle. 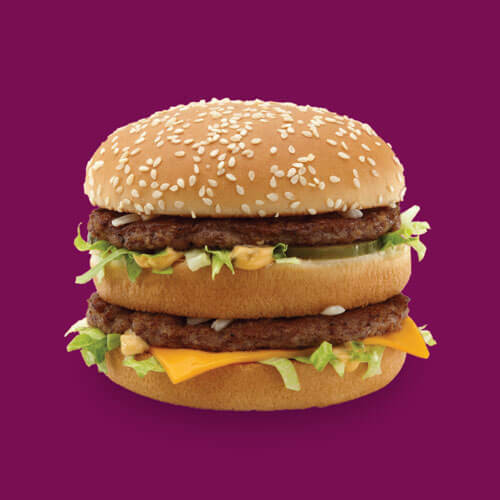 All of this helps us better understand how to effectively spend our marketing and advertising dollars to make both McDonald’s operators and customers happy. Once we learn about the customer – who they are, what they want, where they are and where they spend their time – we can effectively market to them. We know how to produce media. We know how to place media. And we’ve been doing it successfully for McDonald’s for 25 years. When it comes to fostering brand perception, there may be no better tool than social media. At least what our social media gurus in the office will have you believe. At W&A, we control Facebook and Twitter for the Mid-South Co-Op. That means we control 128 Facebook pages for individual stores and a central Twitter account for the Co-Op. I know what you’re thinking. Yes, that’s a lot of accounts. And yes, we do allow our social media manager time to eat and sleep. 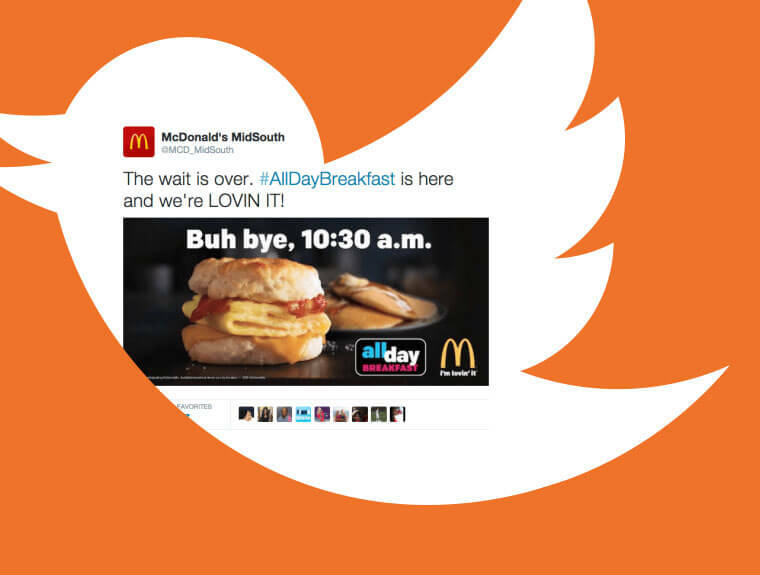 We use social media to create conversations with McDonald’s customers, give them a platform to provide feedback and feel valued when their feedback is heard, promote crew members and of course to promote their great food. 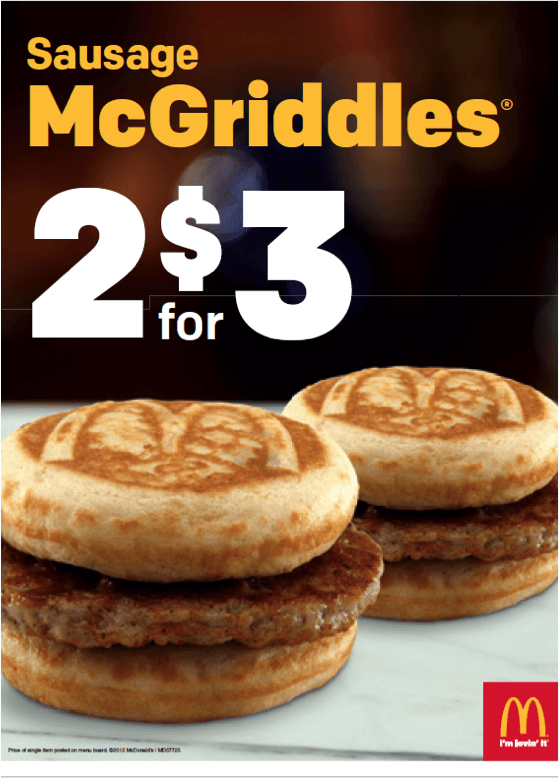 For years and years, McDonald’s customers asked for breakfast all day, and in 2015, they got their wish. But what’s an exciting announcement without a great launch? W&A was charged with creating buzz and excitement around All Day Breakfast! To celebrate the announcement, W&A created an All Day Breakfast “Inauguration.” At 10:31am on October 6, 2015, a local operator in Memphis declared All Day Breakfast and served the first All Day Breakfast biscuit to the lucky customer in line. The customer was very excited for the free sandwich, and we were very excited for the great photo op that went straight to social media as a part of our overall social campaign. 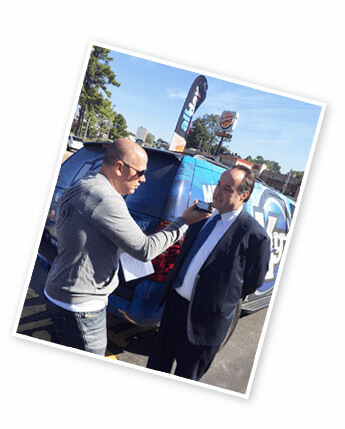 We also dropped breakfast off to all TV and radio stations in our three designated marketing areas – Memphis and Jackson, TN plus Jonesboro, AR – with press releases so the on-air personalities could talk up our event and launch. We even got to go on-air with some of our operators. The All Day Breakfast buzz around town was great and it’s had a positive effect on the business. Back at the top of the page we talked about learning who our clients are, which includes knowing WHERE they are. Once we know who they are and where they are, we can go and hangout with them! That’s why we’ve set up shop every year at events like Memphis in May and the Southern Heritage Classic, and it’s always a good time. Working with McDonald’s definitely comes with its perks, one being our ability to work so closely with the Ronald McDonald House of Memphis. W&A has been involved in the founding and continuing support of Ronald McDonald House, producing fundraising TV commercials, charitable event materials, public relations and more.